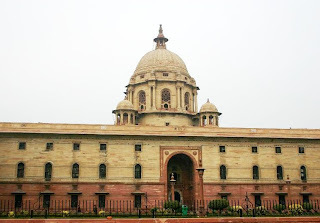 Rashtrapati Bhavan is an eminent monument of British empire which is situated at the west end of the 2.5km long Rajpath (Kingsway), a tree-lined avenue flanked by lawns with orderly flowerbeds and lipped hedges, with the India gate at the opposite end. 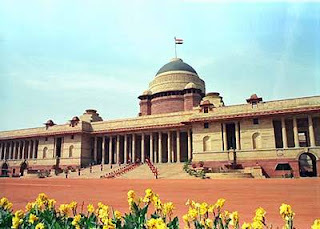 It is the house of the President of India. 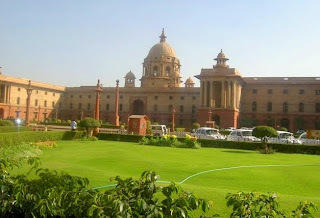 It is a real masterpiece that was built in the British period. 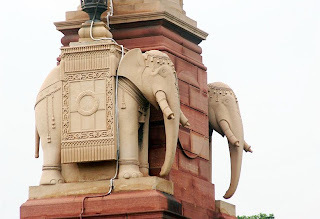 It was designed by the great architect Edwin Lutyens, along with Herbert Baker, and completed in 1929. 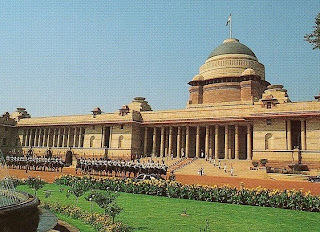 Previously it was known as “Viceroy's House" till 1950. 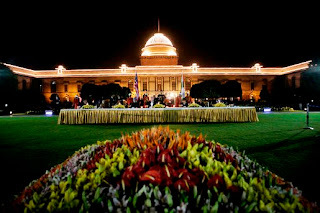 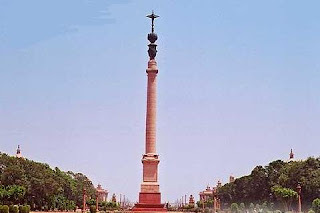 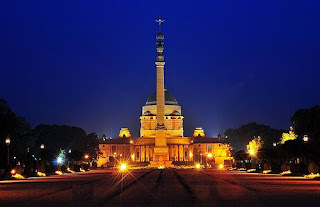 In 1947, when India became independent, the Vicefroy’s house was re-named Government House and when the country became a republic in 1952 it was re-christened as Rashtrapati Bhavan (President Quarters). 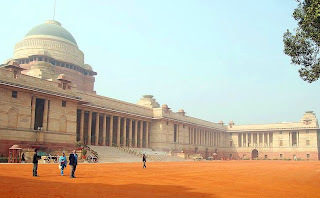 The total cost of constructing the Rashtrapati Bhavan crossed £12, 53,000 in British India. 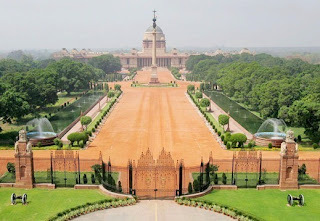 Visitors require official permission from Government of India Tourist Office to visit Rashtrapati Bhavan. 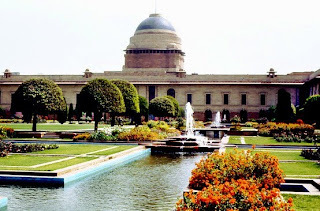 To the west of the Rashtrapati Bhavan, there is a wonderful Mughal garden which is open to the public every spring. 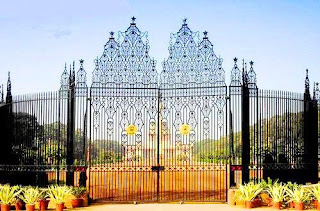 The timings are from 9.30 am to 2.30 pm on all days except Mondays. 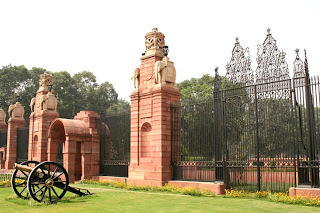 Every Saturday at 10.30 am, mounted and un-mounted troops parade in full uniform, at the front of gates of the secretariat and the Rashtrapati Bhavan, which is worth attending.